Two small new studies may offer novel ways to promote dog walking and its myriad benefits, even to people without dogs. Walking a dog can be fine exercise. But many people do not have access to a dog, and many of those who do choose not to walk them. But nearly 40 percent of dog owners almost never walk their dogs, other studies show. The owners were told that the program was designed to improve their dogs’ behavior while leashed, but the surreptitious goal was to see if the classes could also increase the owners’ dog walking and physical activity after the instruction had ended. Becofsky might have been disappointed with the results, she said, but suspects that one factor was that the program collided with a particularly intractable East Coast obstacle: the weather. The study took place during a prolonged period of rain and cold in the area, she said, so the increase in participants’ dog-walking time, while small, was notable. More important, she said, most of the class participants reported feeling closer to their dogs and happier with their behavior afterward. “We know from other research that the best predictor of dog walking is feeling a strong bond with your dog,” she said. She plans to conduct a larger study, she said, again featuring obedience classes but this time being open about the program’s intent to increase owners’ physical activity. She is also planning separately to study dogs’ self-chosen movement patterns, on a leash and off, using activity monitors made for dogs. “Dog walking has so much potential to inspire more physical activity,” she said. To bypass those barriers, researchers at East Carolina University in Greenville, North Carolina, created a for-credit physical education class centered on dog walking. Students who enrolled in the class visited the local animal shelter twice a week for 50 minutes and walked one of the shelter dogs in a nearby park while wearing a pedometer. The gadgets’ data showed that the students were averaging around 4,500 steps, or about 2.25 miles of walking, during each session with a dog. “Most of them were surprised that they were walking so much,” said Melanie Sartore-Baldwin, a professor at ECU who led the study. “They said that the time had gone quickly and they hadn’t really felt as if they were exercising,” she said. Many also reported side benefits. 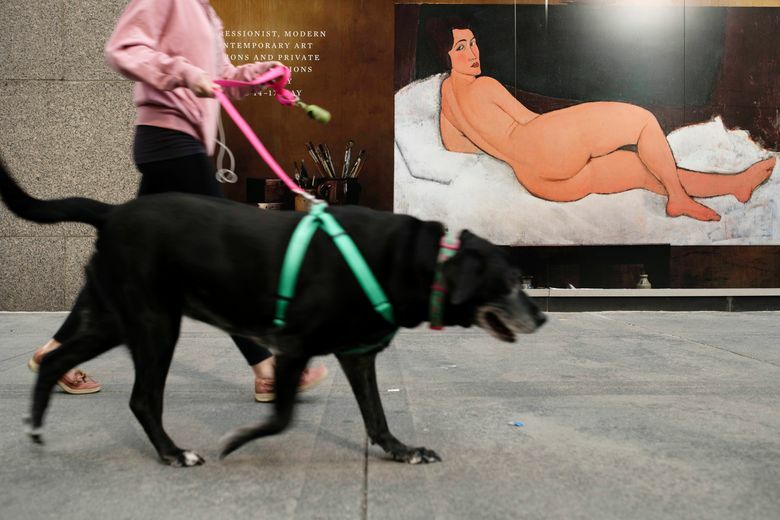 “They told us that the dogs had seemed so happy about the walks, which had made them feel better about themselves and the whole experience,” Sartore-Baldwin said. There were complaints, of course, she adds. The class began at 9 a.m., which the students considered punishingly early, and were required to continue whatever the weather. But few students skipped any sessions, and the class currently has an enrollment waiting list, she said. She also is working with other universities that are looking to incorporate dog walking into their PE programs.